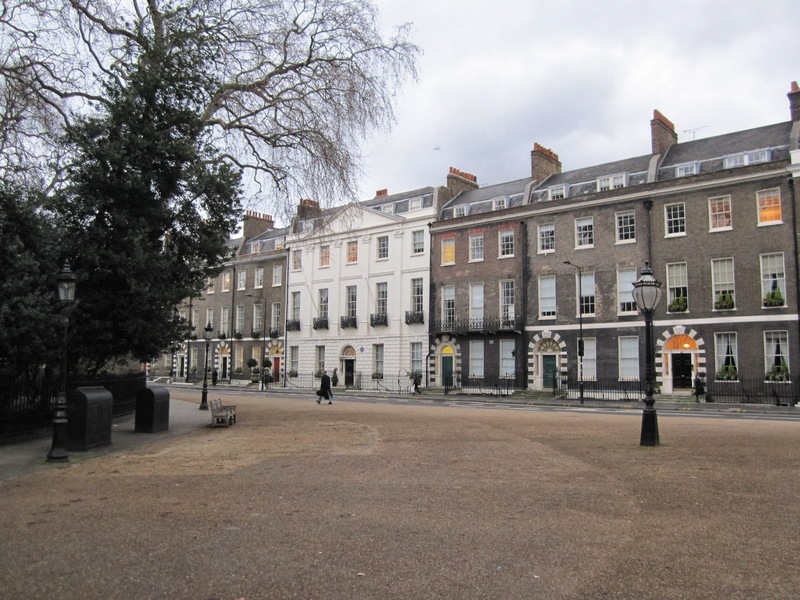 Bedford Square was built between 1775 and 1783. The idea of building on the Bedford estate originated after the peace of Paris in 1763, and the Duke of Bedford initially suggested a large circus on the same lines as the one in Bath, then currently under construction. The duke, however, died in 1771 and his widow passed the project over to Robert Palmer, who may have designed the layout of streets. The design of most of the houses are attributed to Thomas Leverton. 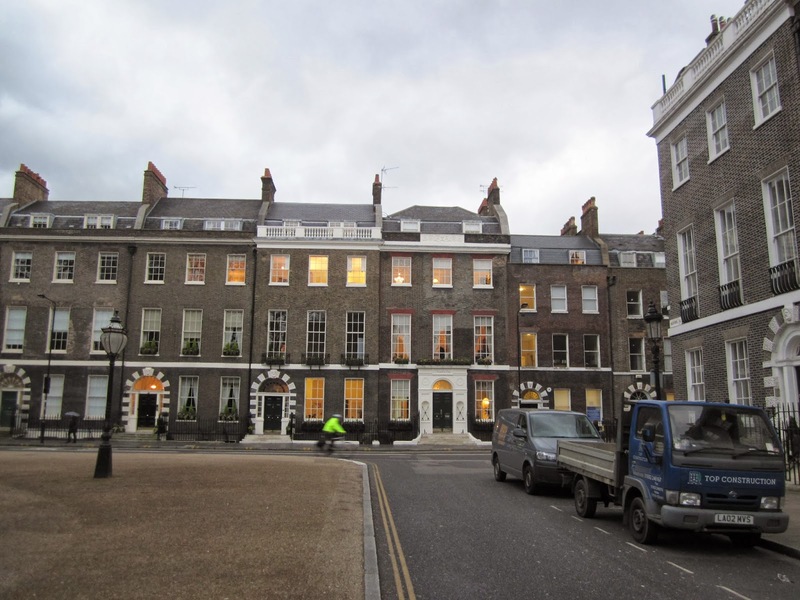 1 Bedford Square was designed by Thomas Leverton and is distinguished from the other houses in the square by the red brick in the flat gauged arches over the windows in the first and ground floors. It also has a different doorway and is not part of the overall composition of the square. The four sides of the square has a stuccoed front(s) in the centre. The style is very similar to Robert Adam's Portland Place, almost to the point of plagiarising. Unlike Portland Place, the original composition has been maintained, with only minor changes to some of the houses. 6 Bedford Square has been heightened a bit and many windows lack the original bars, but the fronts are otherwise remarkably well preserved. The cast iron balconies to some of the properties were added in the 19th century. The stuccoed fronts vary in width and amount of pilasters so that the sides of the square look subtly different. The stuccoed front on the east range is five window bays wide and has four ionic pilasters; the stuccoed fronts on the north and south ranges are six window bays wide, consist of two houses and have five ionic pilasters; while the stuccoed front on the west range is three window bays wide and has four ionic pilasters. 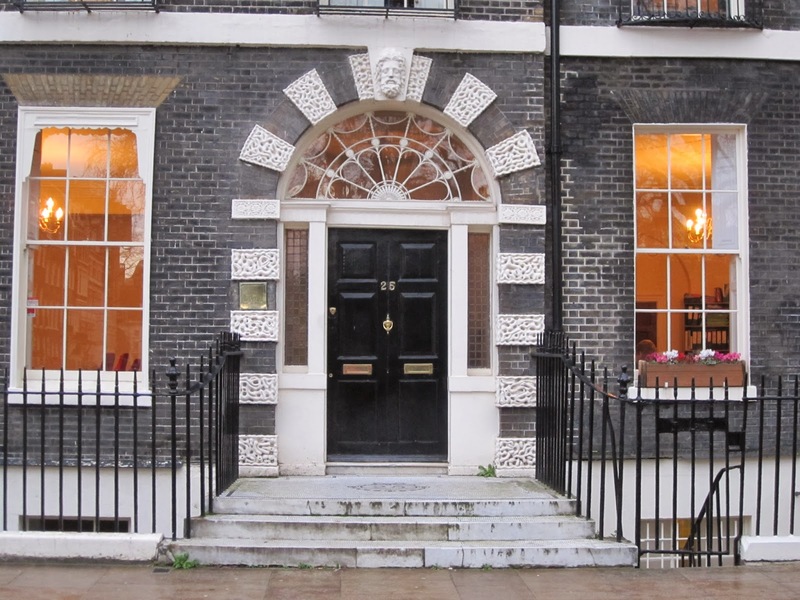 The doorways of the square are in Coade stone, to a design which is also found at 39 Conduit Street, 7 Devonshire Street, and many houses in Baker Street and Harley Street. Coade stone is a stone ware, which was created in 1770 by Eleanor Coade's factory in Lambeth. 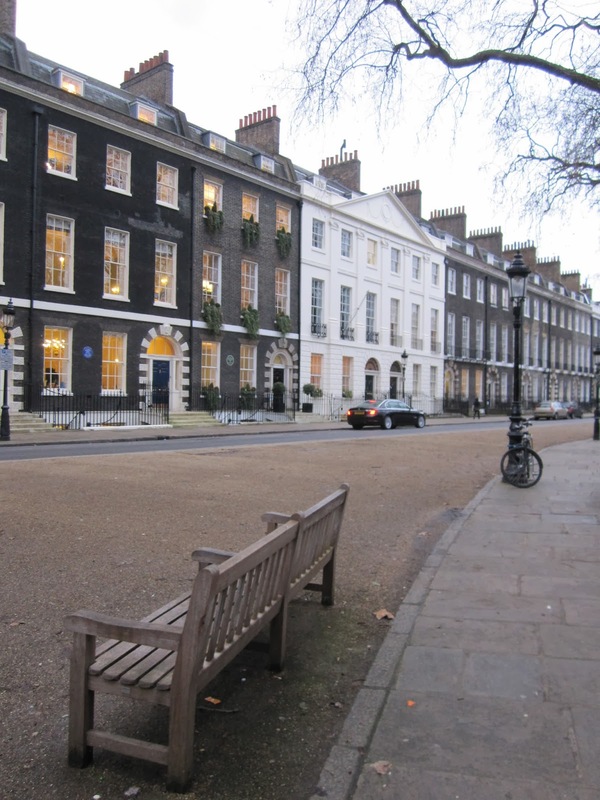 Coade stone was a successful product in the late 18th-century building industry, and the fact that the design was used elsewhere indicate that it was not made specifically for Bedford Square. This also explains why no architect was hired to design the square. Instead, Thomas Leverton seems to have combined a few existing motifs to create the facades of the houses. Thomas Leverton took a building lease at 13 Bedford Square in 1775. The Coade stone design for the doorway consists of vermiculated intermittent voussoirs and bands with a mask keystone. The door has side lights on both sides and fanlights, mostly radial patterned, above.